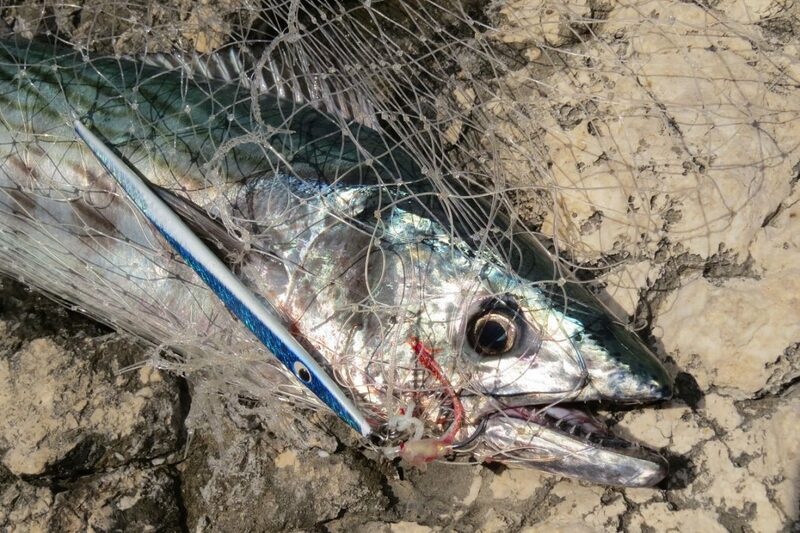 One much disputed fact about shore jigging is the length of the assist hook cord. 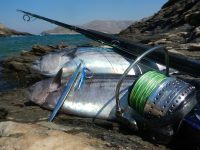 Many people think that the attacking fish come from behind and they tend to put very long cord, believing that the lower the hook goes to the tail, the easier it will get in the fish mouth. Mega mistake! Actually things are the exact opposite. Personally I use very short assist cord and I always prefer to have the assist hook placed very near the eye or at least on the first one third of the jig, if we talk for a slim long jig, or in the middle when we have a short chubby jig. 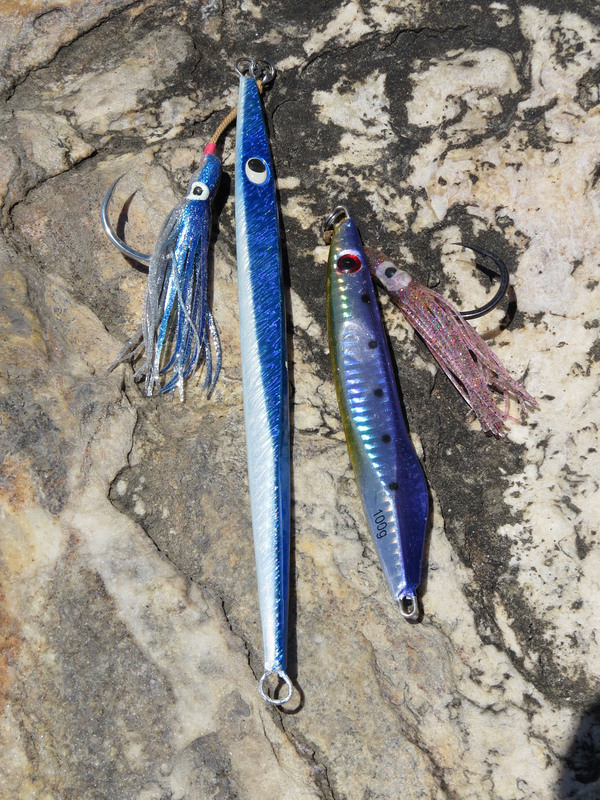 Especially on the long jigs, the short assist hook is a very good idea. Even thought it looks that most of the “body” is away from our hook, the predator will go for the head. 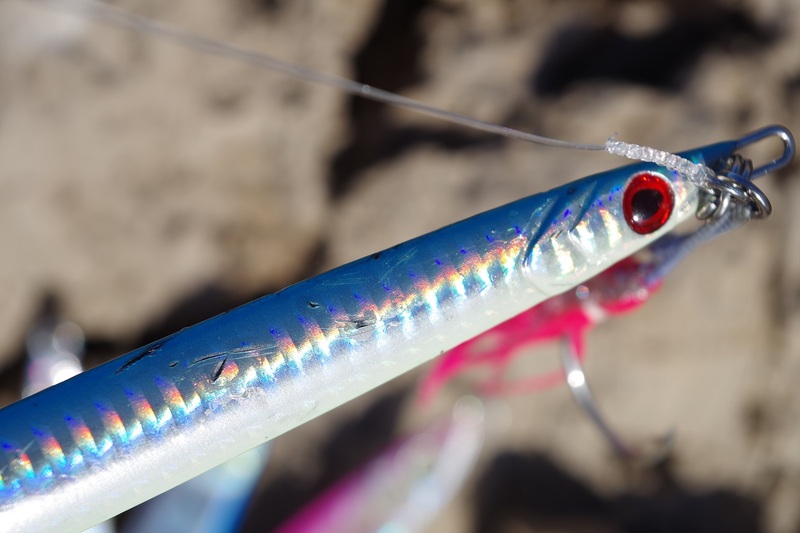 Fish rarely attack from behind, but in reality they do maneuvers and attack from the side of the jig and on the very last minute they focus to the eye. 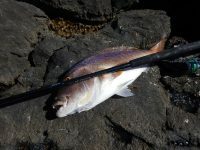 An attack on the head is the best way for a fish to guarantee that it will end up with a full belly, since for example a strike on the sides of a mullet might only leave some scales as a trophy to the predator. 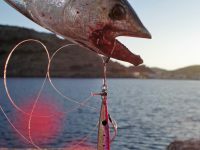 So if given the chance, the attacker will go for the head and in our situation that the jig imitates a wounded panicked baitfish, the attack almost always takes place on the head. Another thing is that also many strikes come during “dead” time. This time is the small pause between jigging, exactly on this half a second. Also in this situation, the short assist cord give us the benefit of a hook up since the hook remains close to the jig and during attack it comes back and hook the fish. Also some attacks will happen during the fall of the jig. In these situations the only thing we can do is to keep our eye on the braid and touch it always while our jig sinks so in the slightest change of speed or stop, to hook fast. Again short assist cord means that the hook stays close to the jig, and not far from it, giving us a chance to hook the attacker. On shorter jigs the assist hook goes on the first one third of our jig. Now I have seen many different assist hooks on the market and I can assure you that many are very wrong. 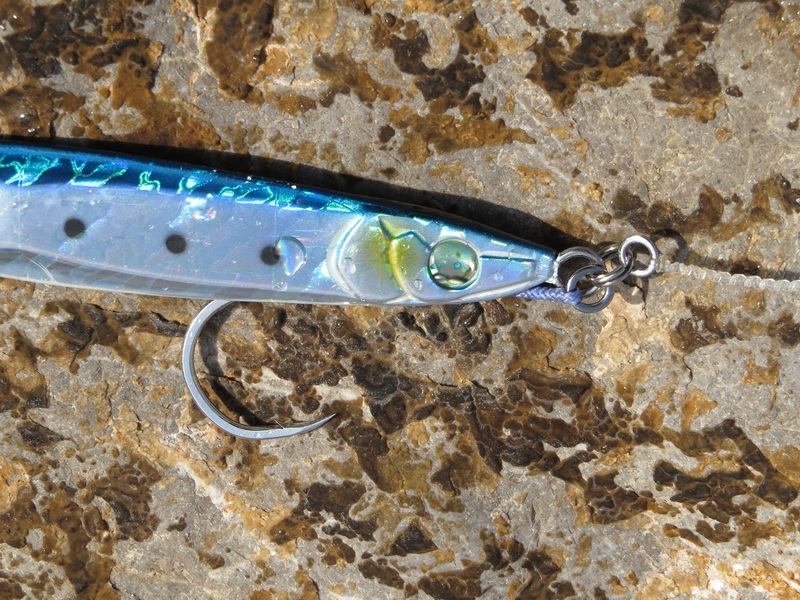 And if you try shore jigging and you get many failed strikes you should consider that the length of your assist hook might be wrongly set with the jig. As said before, I choose my assist hooks to stay very close to the head, no matter their size and so far I do well, having almost a 95% success on hook ups. Do not be afraid to shorten your assist cord. You might be surprised with the results. The snapper attacked on the falling. The bite marks indicate that it obliviously attacked on the neck! Head and neck are always the preferred spots for an attack!